Muharrem İnce, CHP's presidential candidate, taking the stage to address students of Istanbul University. Irene Christodoulaki is a researcher at Vocal Europe. Irene holds a master`s degree in European Law and Policy. She also has an MSc in Digital Journalism from Goldsmiths, University of London. She has worked as a policy analyst and journalist for various research centres and NGOs in Greece, Cyprus and in the UK. Her main research interests are Turkey and the Middle East, EU politics, religion in international relations as well as the impact of social media in society. After the June elections, the Turkish opposition is in disarray. It seems to be out of ideas while trying to reorganize itself. Even the ongoing currency crisis with the USA was not enough to make the opposition snap out of this a circle of decay. Therefore, leaving President Erdogan and his party as the sole stable political power in the country. 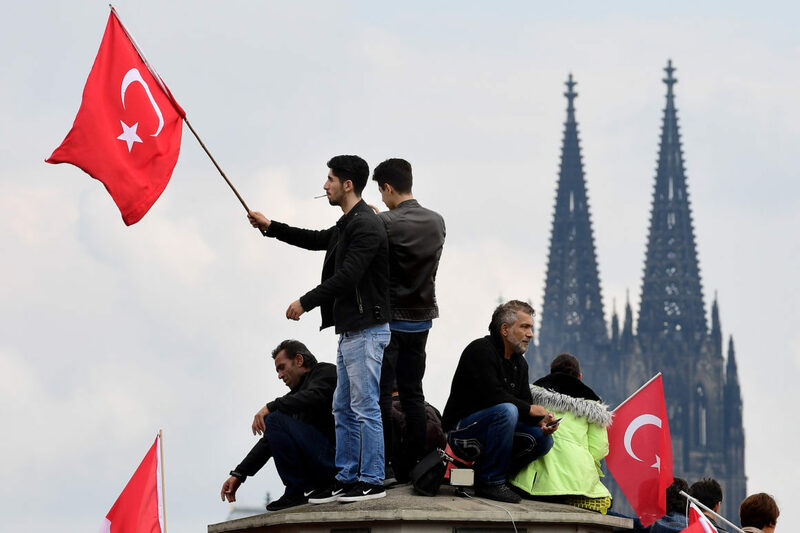 A crisis that will help Erdoḡan to reinforce his rhetoric about him protecting Turkey against the “interest lobbies” that try to harm the country. Simultaneously, the ruling Justice and Development Party (AKP) is getting ready for its first congress after the elections. The congress is programmed to take place on August 18 and its focus will be the preparations for the local elections of March 2019. 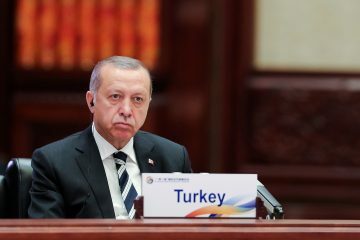 Continuing with the overhaul that started last year, it is believed that Erdoḡan will reshuffle again his party and its executive branch to reflect better the Turkish society and give voice to AKP’s younger members. In the Republican People’s Party (CHP), Presidential candidate Muharrem İnce, days after the elections asked for a party congress challenging its leadership. His remarks were followed by a group of former CHP deputies who called the party’s administration – including the chairman Kemal Kılıçdaroğlu- to resign after the poor performance on June’s elections. The group said in a statement: “we grieve about poor results of our party in the latest election”. Along with the dissidents many CHP’ supporters, have voiced their criticism regarding the 8% gap between the votes of the party in the parliamentary and presidential elections. İnce came second in the presidential polls receiving 30.6% of the vote, while CHP received only 22.6% in the parliament. This percentage was lower than the votes CHP had received on the election of November 2015. At the end of July, more than 600 dissident party members tried to gather the required 630 signatures for an extraordinary congress. At the same time, 129 out of the 144 CHP lawmakers announced their support for the current party leader through a public statement. The same happened with the party’s provincial heads with 59 out of 81 heads publicly supporting Kılıçdaroğlu. Days later, a tug-of-war between the party’s administration and the opposing members would start. The former announced that CHP will not convene an extraordinary congress as “the number of signatures demanding leadership change is insufficient” while the latter supported that they had collected enough signatures. Amid the ongoing pressure from dissident members, Kılıçdaroğlu reshuffled CHP’s top executive board, replacing five out of 17 board members. Simultaneously, six new deputy leaders were brought to the top executive body. As the newspaper Hürriyet reports, many interpreted this move as an attempt to sooth the concerns of the dissidents. 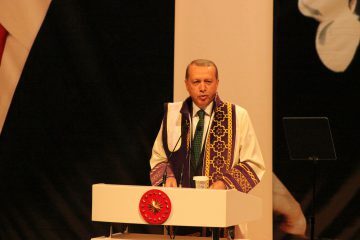 İnce has vowed to continue “the struggle” and remains to be seen where that will lead him. In the past, İnce has stood twice for election as CHP’s chairman against Kılıçdaroğlu and twice he has lost. Nevertheless, the dynamics he brings with him this time are different. İnce was able to gather more than 30% of the vote while campaigning only for 50 days. In these 50 days, he crisscrossed the country promising to restore democracy and rule of law in Turkey. Even though he is a member of the secularist party, İnce is a pious Muslim whose mother wears a headscarf and he always follows the Friday prayer. That would make him more relatable with many aspects of the Turkish society. Meral Akşener’s “Fine Party” ( İYİ) is not in a better state. In late July, Akşener announced her resignation from the leadership of the party while saying that the party will create a new roadmap to prevent its dissolution. Her statement prompted many of her supporters to rally outside her house to persuade her to change her mind. Indeed, Akşener preceded over the party’s meeting on July 30, when she signalled the continuation of her chairmanship. In early August three of the founding members of the party, Yusuf Halaçoğlu, Özcan Yeniçeri and Nevzat Bor, resigned. In a common press statement, the three former İYİ members held the party’s administration accountable for the unsuccessful results of the June elections. Yeniçeri and Halaçoğlu were former Nationalist Movement Party (MHP) deputies, while Bor was the former head of Grey Wolves, a far-right group that consists the youth branch of MHP. The three of them were among the dissidents that left MHP and founded the İYİ party with Akşener back in October 2017. The dissatisfaction from the elections results in the party is high, especially when we consider the fact that İYİ did not surpass the electoral threshold of 10% – in the parliamentary elections İYİ took 9.6% of the vote- but it entered parliament thanks to the alliance it had with the CHP. An alliance that many accused Akşener forming without consulting the party’s board. It remains to be seen how Bor’s departure will affect Aksener’s reach amongst the Grey Wolves, that have long supported her. It’s worthy to pinpoint that Aksener was re-elected as İYİ leader in its congress. However, her re-election was not without its flaws. Out of the 1.123 party delegates, only 888 attended the congress, with those not attending voicing their dissatisfaction with the administration. The situation is bleak in the pro- Kurdish People’s Democracy Party (HDP) too. The factions of the party seem to be in a tug-of-war too, and it seems as if the party is dismantling. Many of the party’s deputies have left, and the administration remains silent. It was HDP presidential candidate and imprisoned former HDP co-leader Selahattin Dermitaş that called all party members out, asking them to stop being on a “vacation”. Once hailed by the “New York Times” as Erdogan’s most charismatic rival, Demirtaş also advised Turkish opposition parties to strive for a “stronger opposition” instead of partition. In this letter, he highlighted that internal party conflicts and a defunctionalized parliament is exactly what the AKP – MHP ruling bloc desires. And he is right. For better or worse, the USA sanctions can hurt the Turkish economy or/and Turkish people, but – as said before – they will also help President Erdoḡan. 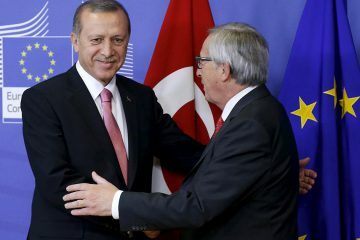 These sanctions will strengthen his place within Turkey and his narrative that “the interest lobbies” are after his country. 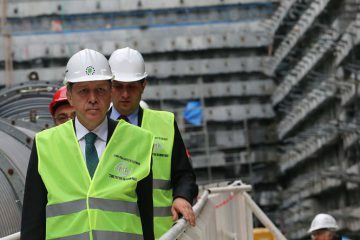 Since he came in power in 2003 Erdoḡan has polarized the Turkish society, transforming himself into the saviour of the country to the eyes of his supporters. 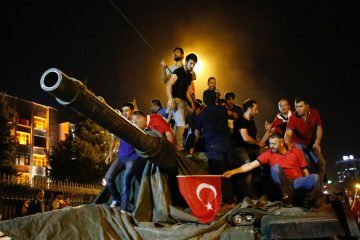 They believed him in 2016 when he said that the 15th July, failed coup attempt was “an attempt by the Western foreign powers” scheming to overthrow him. Now many of the pro-government newspapers already say that “the exchange rate attack to the Turkish Lira is no different to the 15 July failed coup attempt”. Currently, the only “check and balances” that AKP has is MHP; its coalition partner. Besides the “end” of the state of emergency, as well as Erdoḡan’s promise that “from now on Turkey will be a state where freedom of thought and opinion will exist”, the deterioration of the democracy in the country continues. It is high time that the Turkish opposition put its house in order and saw the bigger picture; many voters in Turkey want a new regime and actual freedoms. The opposition should listen to the people and make true changes, changes that will be able to challenge Erdoḡan’s rule. Why do the Turks living abroad adore Erdoğan?